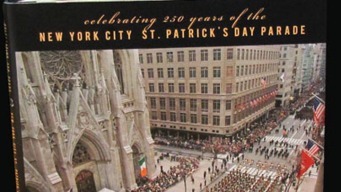 Fifth Avenue was a sea of green as the city celebrated Irish heritage at the 250th St. Patrick's Day Parade. 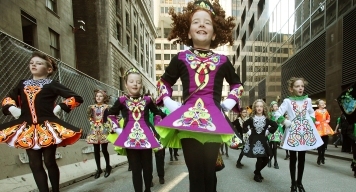 Beloved author Mary Higgins Clark, the 2011 Grand Marshal, and parade historian John Ridge, share their thoughts on the history and the 250th Anniversary of the Saint Patrick's Day Parade. 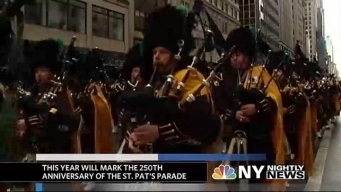 Saint Patrick's Day Parade Turns 250! 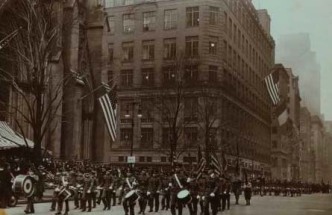 Check out the new book that chronicles the parade's 250-year history. Even if your ancestors don't hail from Ireland, you'll enjoy the hearty Irish fare at these local spots. 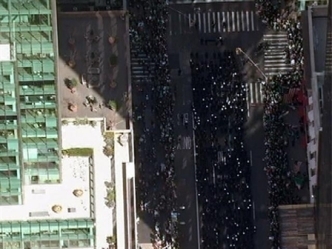 Take an aerial tour high above Midtown Manhattan as the St. Patrick's Day parade marches up 5th Avenue Tuesday. A man who allegedly threw urine on two female MTA workers — a subway conductor and a bus driver — in the Bronx within a span of an hour was arrested in Queens, law enforcement sources say. A storm system swirling toward the east threatens widespread rain and possible storms for both Friday commutes, and could bring a small tornado risk, according to Storm Team 4. A New York jury has convicted fake German heiress Anna Sorokin of swindling tens of thousands of dollars from banks, hotels and friends. A scrap metal fire sent flames and dark smoke billowing into the air in Jersey City on Thursday. A driver hit two teens in a crosswalk in Queens on Thursday, one of whom was left in critical condition, the NYPD said.